Tristan's Conservation Department monitors wildlife, maintains habitats, and liaises with international wildlife researchers. The islands in the group are important breeding grounds for rare sea birds and fur seals, as well as being home to many unique endemic species. This has been internationally recognised by Inaccessible and Gough Islands being designated UNESCO World Heritage Sites. The staff of the Conservation Department work to maintain and improve this situation in partnership with various international organisations, especially the UK's RSPB (Royal Society for the Protection of Birds). The Department regularly counts the population of certain species on the islands. This is easier for some species than others. 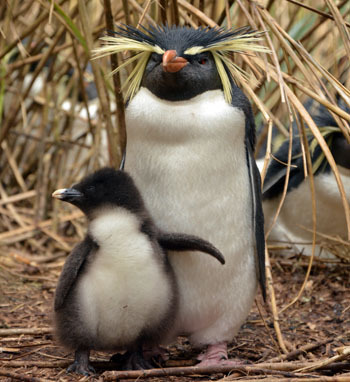 Rockhopper Penguins nest in easily accessible rookeries near certain beaches, and fur seals likewise have their breeding colonies. Some of the Albatross species nest on the mountains and can be difficult to count, and sampling techniques have to be applied for other species. 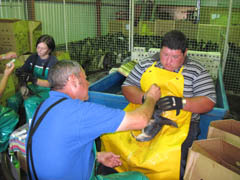 The Department also does some bird ringing and weighing. A number of alien species have inevitably established themselves on the islands and surrounding waters. Some were introduced deliberately for use by the islanders but then 'escaped', such as Loganberries at Sandy Point and New Zealand Flax around the settlement for thatching. There is an ongoing programme of work to remove these from the places where they should not be. Others that arrived accidentally with ships or researchers are proving more difficult to eliminate. 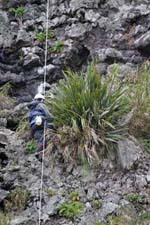 There is a project to remove Birdeye Pearlwort Sagina procumbens from Gough Island, before it reaches the problem levels of certain sub-Antarctic islands. Rats and mice are a problem on Tristan islands. The so-called 'super mice' on Gough Island have achieved international notoriety, as they are predating albatross chicks. The Department is working with the RSPB to eradicate them. The removal of invasive species allows native habitats to re-establish themselves and the populations of species that need them for food or for breeding. Similarly, certain birds and plants have been able to recover after the islanders stopped harvesting them. Sometimes recovery needs a little help. For instance, the Phylica woodlands which were cut down for firewood have been slow to recover. There is a programme of active replanting of Phylica seedlings on Nightingale Island, which it is hoped will lead to an increase in the number of 'finches' that feed on the trees' fruit. Tristan's islands are the subject of much international interest focused on conserving threatened species. 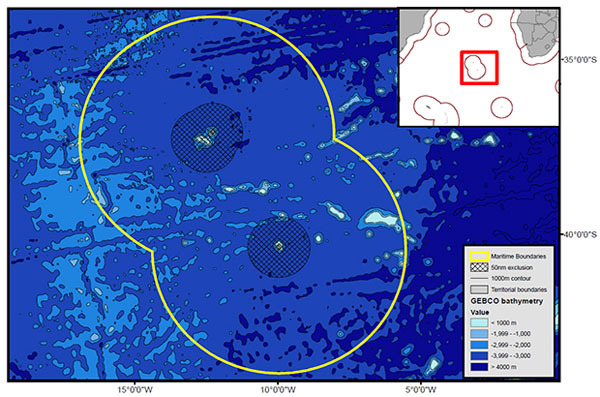 Gough and Inaccessible Islands have been designated UNESCO Heritage Site No.740. 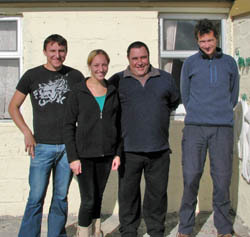 The RSPB (Royal Society for the Protection of Birds) is active in a number of projects on the islands, including the conservation of penguins and albatrosses, and the elimination of predatory mice on Gough. There are periodic scientific surveys and expeditions to the island by organisations such as the British Antarctic Survey and National Geographic, who filmed a 'Pristine Seas' survey around the islands in 2017.